At the weekend, we visited Aquatuning and Alphacool. During our time, we had a chat with Eduard Peters, the PR and marketing manager for Aquatuning. The questions came from our very own forum members, so hopefully you guys will find the answers satisfactory. Would you say that there has been an increase or decrease in demand for liquid-cooling, especially from the UK, in recent years? The market is constantly growing. What has changed is the focus of water-cooling. While in past, the focus was on output and silent performance, now that has evolved and the focus is more on design and quality. Also, customers are willing to spend recognizably more money for it. Purchases of cheap products have dropped dramatically, because this market is mostly covered by AIO solutions now. Even here, products are getting more attractive and offer more diversity in the way they are used. We are seeing that in the Eisbaer AIO family. You can add more components like the GPX Eiswolf to the loop thanks to our fast-couplings. 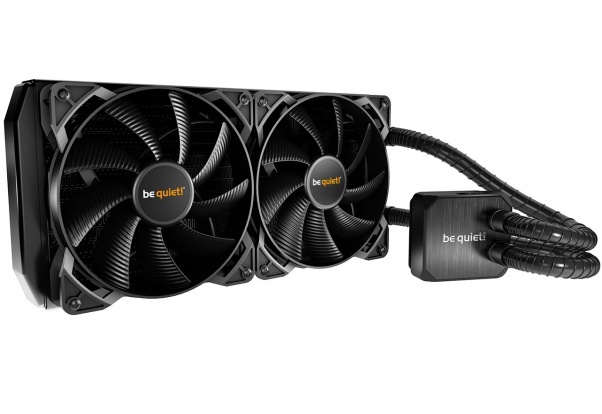 This is something that has evolved to bridge the gap between custom water-cooling loops and AIO system solutions. It is very remarkable, as well, that most of our new customers are not related to the classic forum culture or even know about such. In the past, water-cooling only has been an enclave for "nerds", that from then to now are communicating in forums, but this for today is very much invalid. Enthusiasts on forums are a minority now, and it seems it's more about social media. Does the demand for new AMD platform blocks reflect the demand for Intel/AMD CPUs, or are you finding that people who are buying AMD are sticking to a tighter budget? With Ryzen and Threadripper, AMD has totally justified and gathered a mass of attention, and we do not believe this only comes from the comparably lower prices. The platform itself is eloquent and very performance-focussed, and this means we need to release products alongside this. 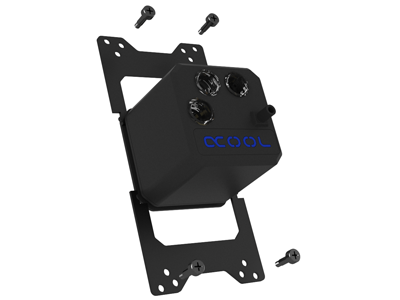 We already have had lots of requests for the upcoming TR4 clamp solution, and we are also asked constantly about the compatibility of our coolers in terms of socket AM4. 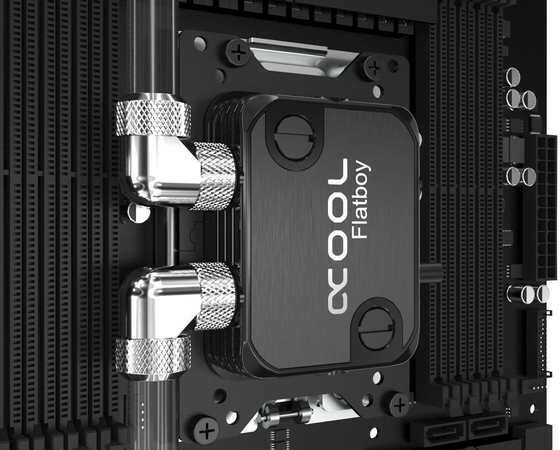 We have added a clamp design for it already to our XPX cooler series, so we are up to date. AMD has done fantastic work here, and we have reacted in harmony with it. Do you find that you are able to compete with other brands easily? Focussing on competitors too much makes us lose our own goals. Of course, we keep an eye on the industry, but we don´t overestimate it. Due to this, we have become a European market leader in a relatively short time and are on our way to be worldwide. There are still some countries that we do not cover, but we go on step by step. Do you plan on working with companies to offer integrated water block solutions, such as how Bitspower worked with Asus with the ROG Maximus IX Extreme? We regularly talk to different GPU brands and are strengthening our OEM contacts. Right now, we are producing AIO solutions for some brands and plan to have more brands covered in the near future. We have already got a lot of scheduled projects next year and we aim to be the world market leader in terms of our custom water-cooling range. Our AIO OEM section is massively growing, but Asetek leads here. We do have some things coming to combat this, but I am not allowed to say anything more at the moment. How do you feel you are different to newer Chinese/Taiwanese brands? The most striking difference between us and other brands is that we mostly develop and produce our own products. We are also the brand with the widest and largest product portfolio of all. Nobody offers as many products or as large a variety as we do. Our product planning department is scheduled to publish new products multiple times throughout the years for many years coming. We also have several updates of existing product families - the future certainly won´t be boring for us. What are the current major trends in the water-cooling industry, and what do you see as future trends? Also, how are you changing to meet the demands? Two aspects are about to grow stronger in the future. Firstly, the custom-cooling, where quality and the looks are more important than ever. For over a year, we've been revising our product families continuously to ensure they look better. Next to our technical expertise, it's important to follow trends too. Things like RGB lighting, or lighting in general, are very important at the moment for a lot of customers, so we use this in our Aurora rings for several products. The second area that's trending is the expandable AIO solution. The call for expandable products is strongly rising. Customers ask for more, but an AIO is useless and is wasted after use if you want to add a GPU. Due to this, the Eisbaer family is adjusted to also be compatible with custom-cooling parts by means of adding or changing parts. We sensibly watch the market to be able to answer it properly always. Of course, we gather a lot of feedback from our customers, modders, and the community, as well as from our shop partners and their customers' feedback. The industrial use is, of course, well within our focussed interest. 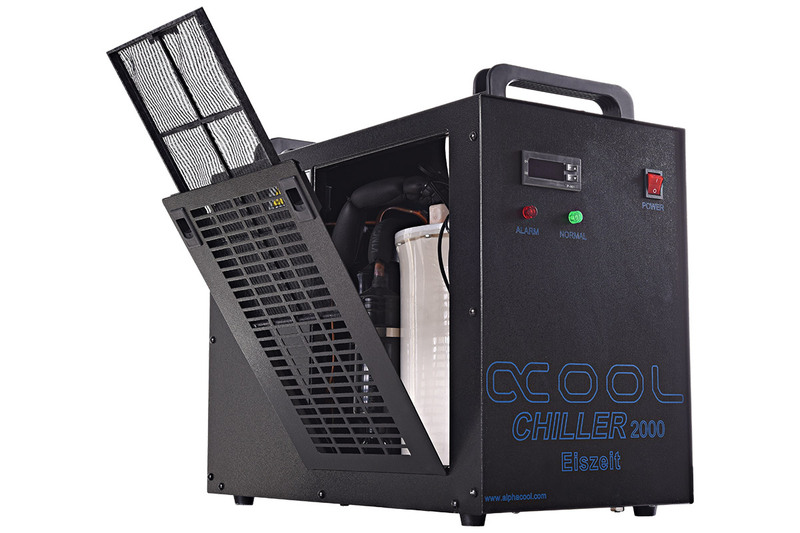 The request for specialized cooling solutions is massive, and we are able to meet this by developing suitable solutions and producing them. Many are not aware, but this also is a huge part of our company. Excellent, thanks for that Eddy! I have seen a lot of modders walking around while we've been chatting, so I'm going to have a talk with them too!